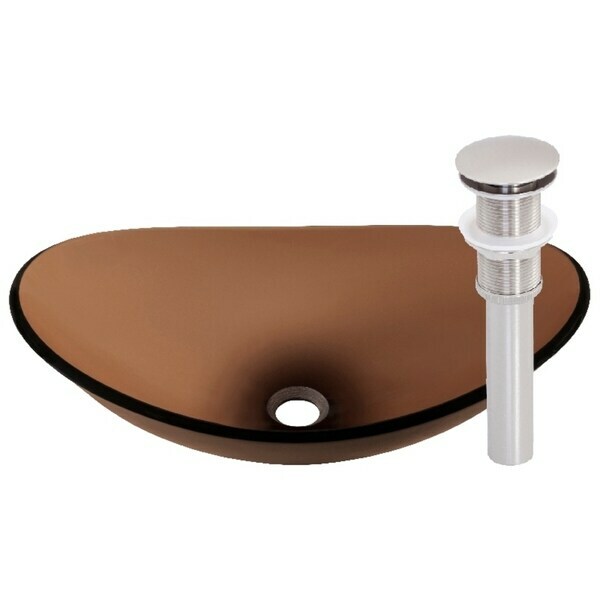 Add style and design to your bathroom remodel with this translucent brown tempered glass vessel sink. The use of advanced technologies and superior materials ensures this oblong vessel sink will stay beautiful for years to come. This sink includes a brushed nickel pop-up drain with a matching mounting ring. vidaXL Basin River Stone Oval 11.8"